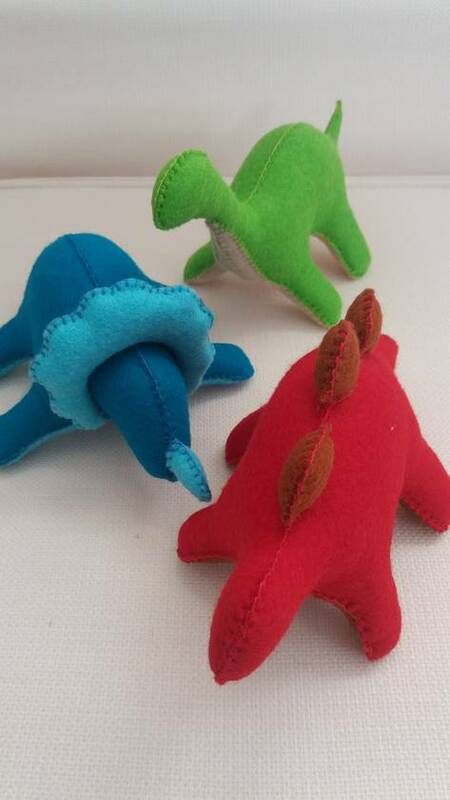 Handmade hand stitch wool felt colourful three piece dinosaur set. This set has three different dinosaurs. Your child will love playing with this set, will have hours of fun.